Amazon is stepping up its efforts to sign up influencers for its affiliate program. In recent weeks, a number of small creators have signed up and been approved for the Amazon Influencer Program. Business Insider obtained a copy of Amazon's terms of the deals, including details on how much influencers are paid to sell items. Commissions are as high as 10% for Amazon's private fashion line and as little as 1% for video games and consoles. Amazon is inching in on influencers. For two years, the company has quietly run an influencer marketing program that allows creators and social media stars to earn a cut of sales generated by Amazon links that the influencer posts on YouTube, Instagram, Twitter or Facebook. Each influencer gets a custom Amazon landing page, called a store, where they can promote products and create lists of recommended items. Big names like Mark Cuban, Jillian Michaels and YouTube star Justine Ezarik (best known as iJustine) participate in the program, but it has mostly flown under the radar. Amazon may be making a bigger push into influencer marketing. Over the past couple of months, a number of "microinfluencers" with anywhere from a few hundred to a few thousand followers have been accepted to Amazon's program, according to social media posts from them. Amazon reps have solicited some creators about joining the program, though it's open to anyone who applies through Amazon's website. Amazon has also been running ads on Instagram targeted at influencers. The Amazon Influencer Program works similarly to Amazon's larger, 12-year-old affiliate program, which pays publishers and bloggers a percentage of sales when a reader clicks and buys an item that they link to. Publishers including BuzzFeed, the New York Times and Business Insider make money through such programs. Influence.co , an influencer marketing platform with 100,000 influencers, created a tool specifically to match brands with Amazon influencers in October. Since then, the company has seen "thousands" of its influencers sign-up for the program. "There's always this constant need for influencers to talk about the products and services that they're mentioning and there's not deep commerce integration with most of those platforms. The storefront provides an obvious and simple way to do that," said Niel Robertson, co-founder and CEO of Influence.co . Amazon wants these influencers to recommend products, write reviews and set up curated groups called lists. "Amazon is taking a really aggressive approach to trying to get as many of these influencers on board as possible to leverage their audience and drive traffic to the storefronts on Amazon," said Krishna Subramanian, co-founder of Captiv8, an influencer marketing firm. "It's almost like the old affiliate model of advertising. Before, it was publishers and websites that were driving traffic to these different stores. Now, these retailers are so big that they need these individuals to drive traffic." A spokesperson for Amazon declined to comment on the details of its influencer program. 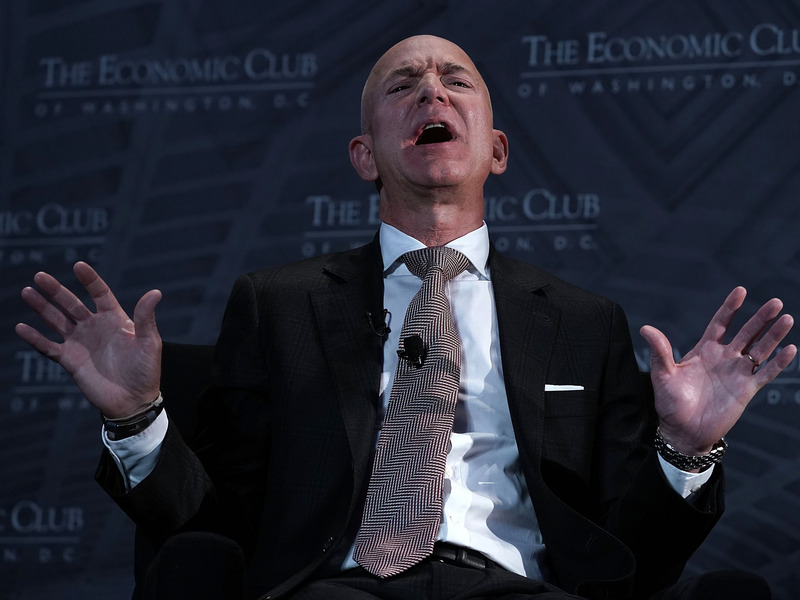 Business Insider obtained a copy of an email that Amazon is sending influencers that reveal the terms of Amazon's affiliate program, including the commission paid by type of product. The terms also detail which categories Amazon most wants influencers to help sell, suggesting where the company's priorities lie. Samuel Torres, an influencer, who joined the program in mid-December. "There's people that make $100 a day — it's just for side money, it's not something to get rich off." Yet, he said, "This program really has potential for big earners." Commission is based on a fixed model, meaning that influencers get paid a percentage of what they sell. Amazon's private-label fashion line is the category that pays influencers the most at 10%, followed by furniture at 8%. Non-Amazon apparel, jewelry and shoes as well as Amazon Echo, Amazon Fire and Amazon Smart TV devices pay a 7% commission. At the low end of the commission scale are Amazon Fresh and toys paying 3% commission and physical video games and consoles that earn 1%. Influencers can earn revenue for up to 24 hours once someone clicks on an affiliate link and later decides to purchase the product. Influencers must also keep their accounts active, meaning that it's used at least once every three years, according to the email. "If at any time there has been no substantial activity on your account for at least 3 years, then we will have the right, with 7 days' written notice to withhold the accrued fees for your inactive account," reads Amazon's terms. Amazon is pushing to sell its own fashion label to keep up with competitors. The commission it pays for its fashion label is similar to that offered by RewardStyle, another fashion-focused influencer platform where brands can post campaigns that they need an influencer for. Influencers log in to the platform and pick brands to work with. According to a screenshot sent to Business Insider of RewardStyle's platform, brands like Levi's and Glossier offer commission rates around 10% while other brands such as Target and Etsy hover closer to 5%. The other way that Amazon's influencers make money is through bounties, which are displayed as buttons on the influencers' storefronts that promote Amazon's services like Amazon Prime, Audible, Amazon Music, Amazon Wedding Registry and Amazon Fresh. Every time someone signs up for one of these services, Amazon pays the influencer a flat fee. Like product categories, bounties vary. For every person an influencer gets to sign up for Amazon Business, the influencer gets $15. The bounty for a sign-up for Amazon Fresh or an Audible membership is $5, while Amazon Prime and Amazon's Wedding Registry make a creator $3 per sign-up. Unlike influencer programs with YouTube, Instagram and others where brands pay influencers to create custom content, Amazon appears to be hands-off with creators. The hands-off approach could let Amazon focus on signing up lots of influencers with the goal of selling products. "These influencers are a low-risk way of extending your salesforce and your reach," said Captiv8's Subramanian.